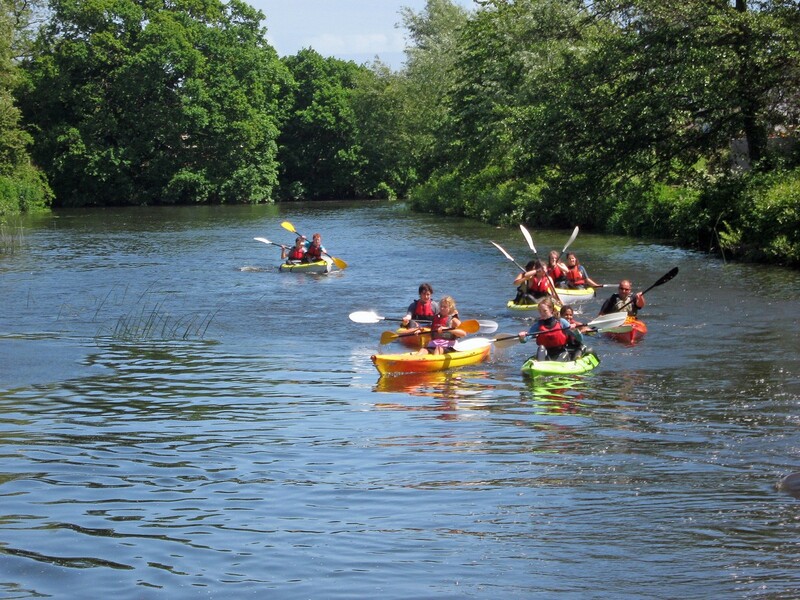 All our tours are suitable for complete beginners and experience kayakers alike, aged 5 and over. Our relaxed and leisurely tours are a great way to get out on the water and see the local area. Explore this great harbour with beautiful views, nature reserves, the Priory and bird island. Paddle up a river, stop for a picnic or pub lunch. All our tours are suitable for novice and experienced kayakers alike. 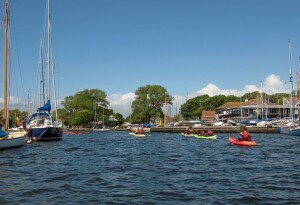 Our relaxed kayak tours use the quiet waterways to explore what are normally inaccessible shores. Enjoy the most beautiful views. 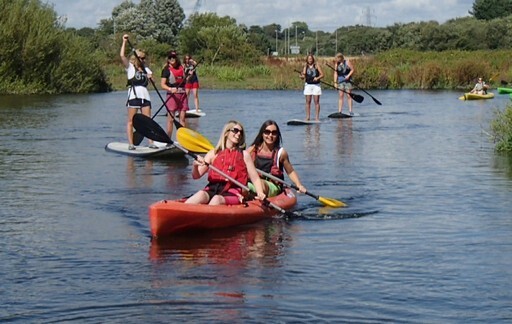 Visit a wildlife reserve or paddle up river to a river side pub. We have a BCU qualified instructor, and only use qualified instructors guides and supply all the equipment needed, but if you have your own please feel free to bring it. Our easy to use ‘sit on top’ touring kayaks mean you don’t need any experience, single or two seaters are available. All tours can include regular breaks. We can also supply Stand up Paddleboards for use on the tours. r consists of two adults and 2 children). Tours will only run on a minimum of 3 people. 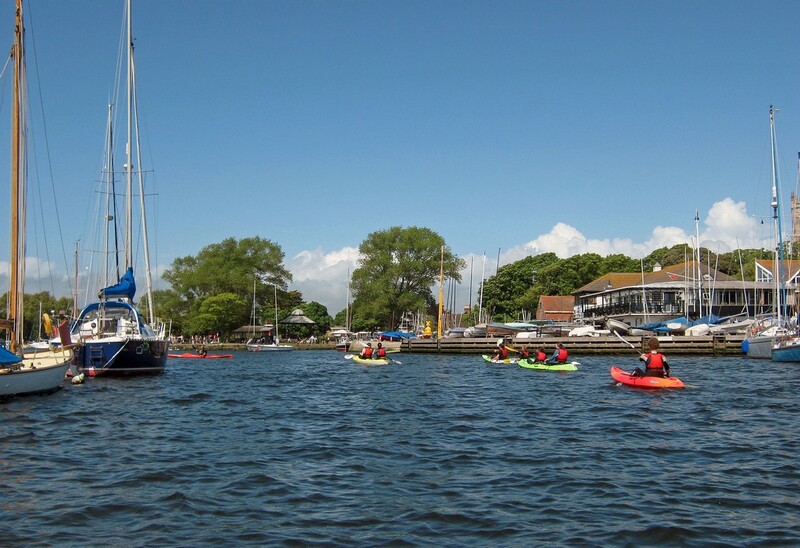 Paddle across Christchurch harbour in dorset and up to the Priory. Taking in the magnificent views and abundant wildlife with a chance to stop of and explore Christchurch Quay before we return. The harbour has a number a rare birds that can often be seen on this tour as well as horses and cows. We use a BCU qualified instructor as a guide and supply all the equipment needed, but if you have your own please feel free to bring it. Our easy to use ‘sit on top’ touring kayaks mean you don’t need any experience, single or two seaters are available. All tours can include regular breaks. We can also supply Stand up Paddleboards for use on the tours. Going up to Iford Bridge takes you up the Stour river past Christchurch and Tuckton to the Iford Sizzler pub. With plenty to see including the priory, the Captains Club hotel and the safe busy water ways. But the best is saved for the last section of the river, where it goes very quiet and peaceful and with the chance of seeing otters. Going to Iford and back takes the whole day, which gives you the chance to stop for lunch either at the Sizzler Pub or a picnic on the grass over looking the river. Before we paddle gently down stream back to Mudeford. Price: £40 one way and £70 for there and back, (minimum groups size of three people). Group discounts available.